Tourism Australia is the Australian Government agency responsible for marketing Australia as a travel destination globally. Through its global marketing effort, Tourism Australia aims to attract international visitors to Australia and to encourage Australians to travel domestically for leisure and business purposes. Tourism Australia’s ‘There’s Nothing Like Australia’ campaign launched for the first time in May 2010, encouraging Australians to submit stories and photos of their favourite domestic travel destinations. As the campaign grew in popularity, more than 30,000 stories and photos were uploaded onto an interactive map of Australia on the agency’s campaign website (www.nothinglikeaustralia.com). Tourism Australia’s long-term goal is to work with the industry to grow the value of tourism to between $115 and $140 billion annually by 2020. 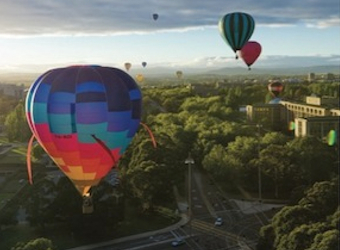 Tourism Australia wanted to build on the success of the 2010 campaign. In 2012, the campaign continued to evolve with a new wave of broadcast, print, and digital advertising rolled out across the globe. This latest phase of the Tourism Australia campaign needed to be flexible and evolutionary in order to ensure Australia remains competitive in the global travel market. 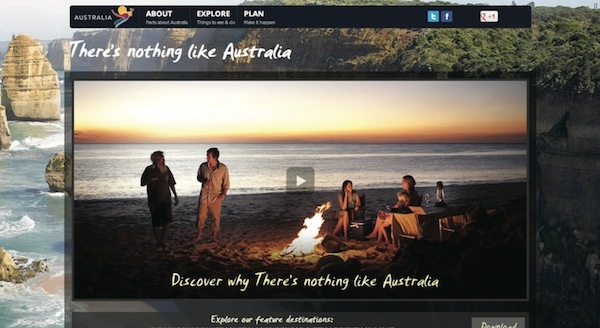 Sitting on Australia.com, video was to be the centrepiece of the campaign hub, which is Tourism Australia’s call-to-action for all campaigns. The campaign was to be promoted across Tourism Australia’s key markets, with particular focus on China – one of Australia’s fastest growing and most valuable tourism source markets. By 2020, an estimated 100 million Chinese per year are expected to travel overseas. Given the global nature of the Tourism Australia campaign, worldwide geographical support was a must-have. With video as the centrepiece of this evolved campaign, it was vital to the success of the campaign that the audience would see the same video experience across all devices. To gain maximum exposure for Australia as a destination within the crowded tourism space, Tourism Australia signed up with Brightcove in May 2012 to utilise the Video Cloud platform, in order to increase reach by detecting and delivering video to audiences across desktop and mobile. Off the back of Tourism Australia’s initiative for the campaign and creative direction, digital agency Gruden was able to deliver a successful implementation. Gruden leveraged Video Cloud’s library of APIs to deliver interactivity and to extend the reach of the campaign with a seamless experience across multiple devices. Tourism Australia has been able to showcase significant key moments and locations within the campaign using a precision cue-point feature. During the 90-second TVC, iconic Australian locations such as Uluru, the Great Ocean Road and the Bungle Bungle Ranges are highlighted with key interactivity via cue-points that provide further contextual information for viewers to explore. All paid digital advertising media was directed to the campaign site, generating mass global viewership, so reliability and scalability was vital. ‘There’s Nothing Like Australia’ entered the market showcasing a 180-second broadcast ad, which was supplemented by a series of shorter video clips and combined to highlight spectacular glimpses of Australian states, capital cities and icons. Critical to its success was the sophisticated imagery and high quality video. The broadcast ad was seamlessly shown across Tourism Australia’s key markets, including China, India, Indonesia, the UK, the US and many other countries, including Australia. Video Cloud also enabled the set-up of content and player templates that tailored to different markets. 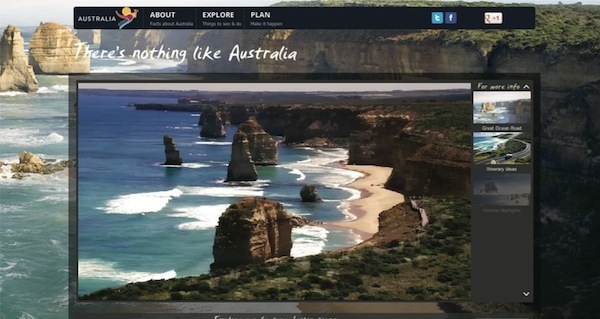 With Akamai, Tourism Australia was able to deliver video directly in China. Australia.com will continue to be the home of the ‘There’s Nothing Like Australia’ campaign. A new content hub has been developed to offer additional information about the experiences, products and services featured in the campaign. The website features a series of videos optimised for smartphones and tablets. These videos can be shared across social media and also users can click through from the video directly to the destination website. The video has been viewed more than 9.6 million times. While desktop web browser viewing still leads the way for video engagement, views from other devices are also growing rapidly. Through the platform’s analytics, Tourism Australia is able to gain deep insight into how its viewers are engaging with their video content across every device and playback environment, in real time. For mobile, videos watched from an iPad dominate at 1.3 million views, followed by Android and iPhone devices bringing in significant traffic as well. Visitors who viewed the video exhibited high engagement with Tourism Australia, peaking as high as eight minutes or more of site activity on average, thereby supporting the effectiveness of video as a communications tool.